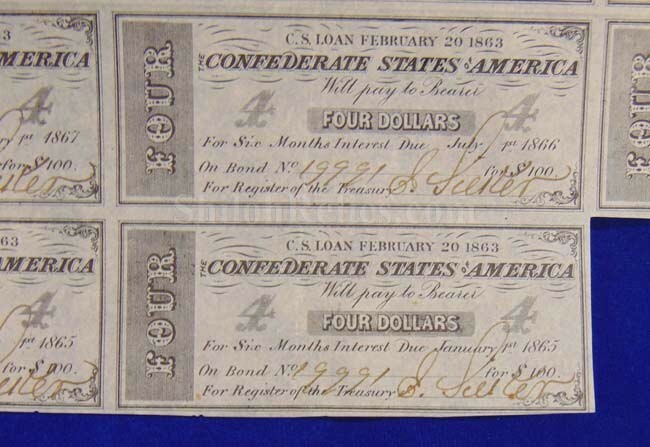 This is a very fine original Confederate States of America savings bond. 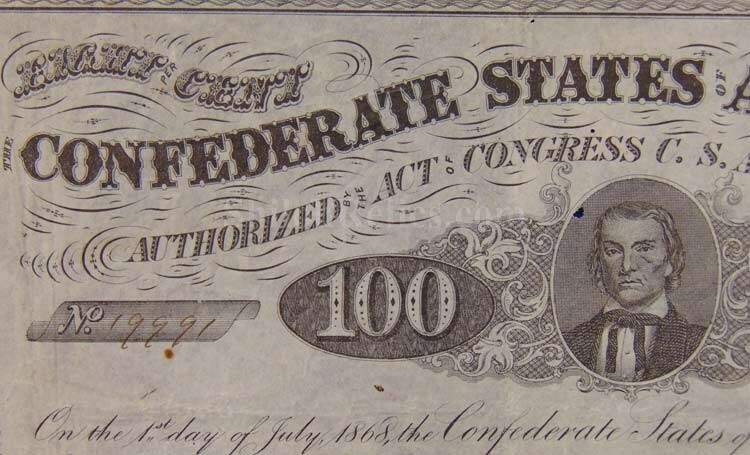 This is the style issued under the act of the Confederate Congress of February 20th 1863 in the $100 denomination. In the center of the top it has the likeness of Confederate Vice-President Alexander Stephens (1812-1883). Before the Civil War Stephens was a lawyer from Georgia. 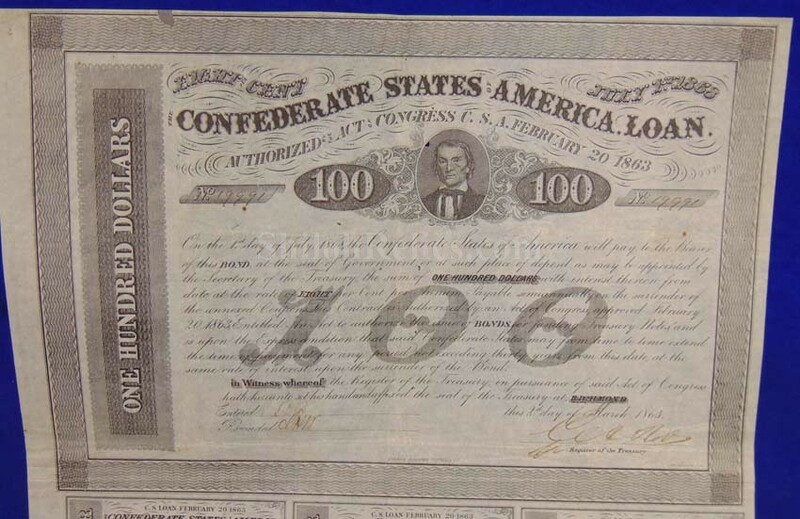 He served the entire Civil War as the Vice-President of the Confederacy. After the Civil War he was elected as Governor of Georgia in 1882. The view shows the vice-president in his usual "strictly business” manner. 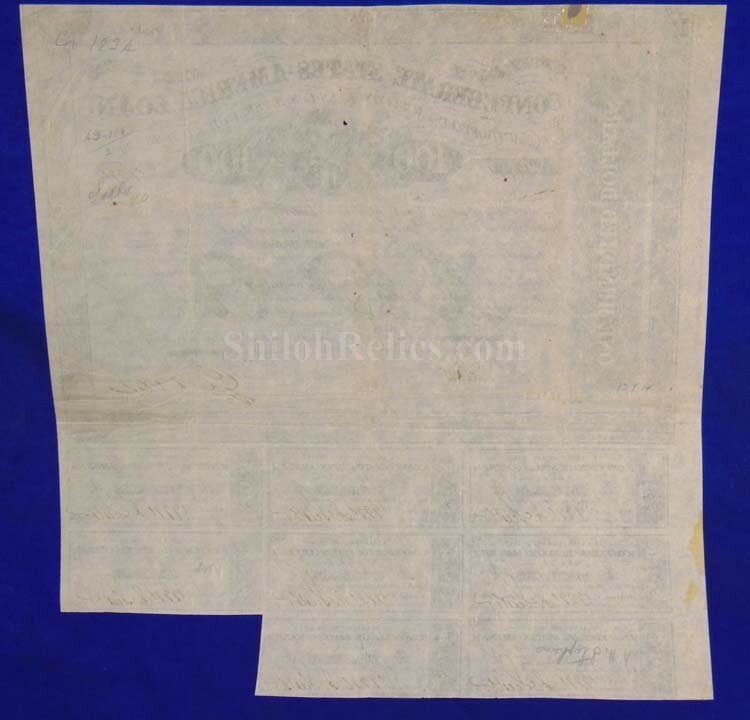 It still has 8 of the original interest coupons present at the bottom. 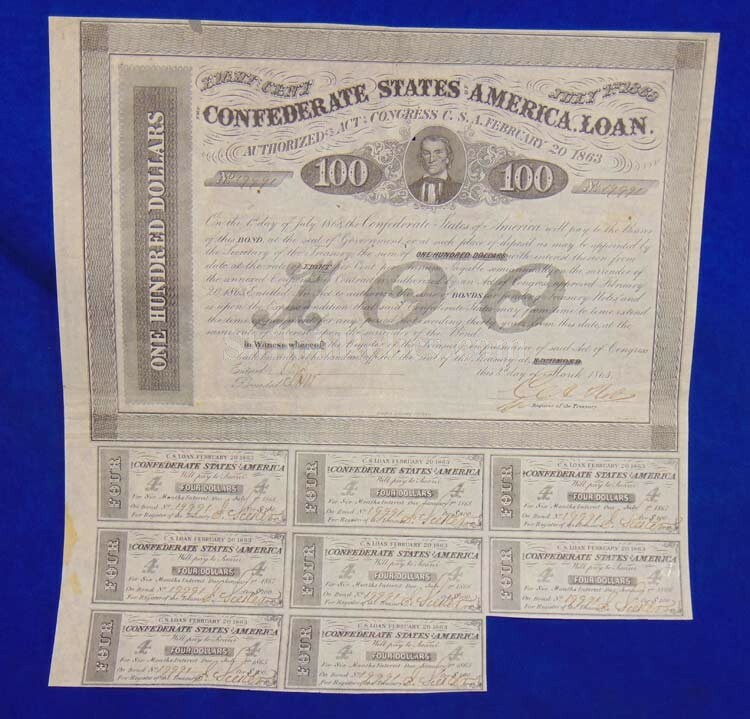 At certain dates the coupons could be cashed in to receive your interest from the bond. 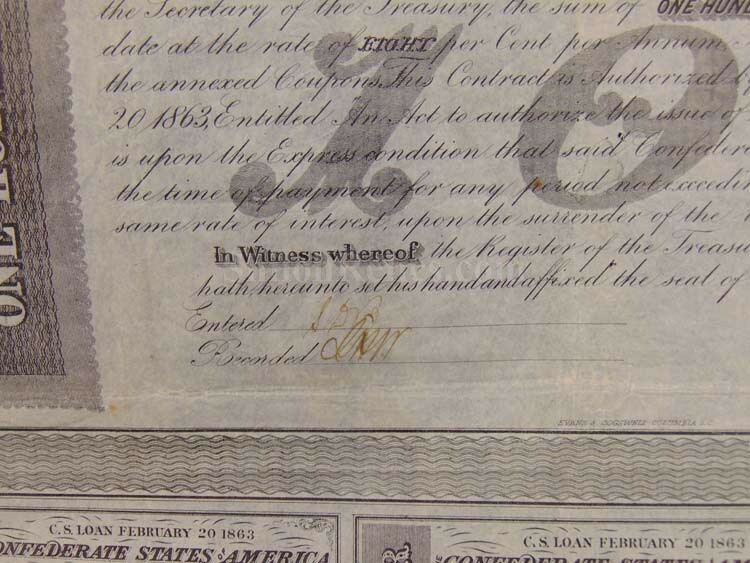 The bond is correctly hand signed and numbered in fine old brown ink. It has one small repair along the top edge that doesn't detract from the display but is mentioned for exactness. 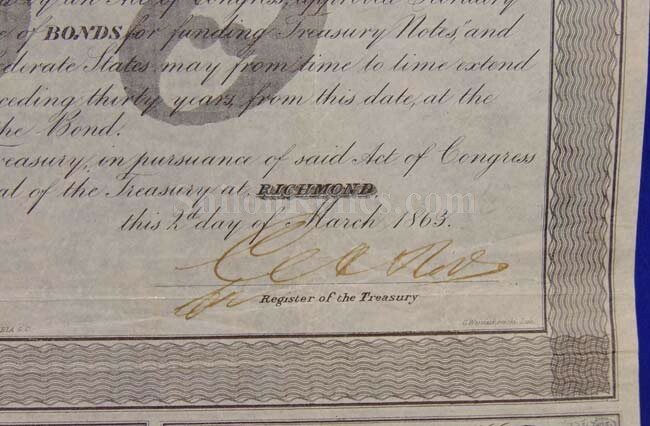 This is the style listed as CR-123A in the Confederate bond book. Nice addition for any collection and will look beautiful when you frame it up for your wall. It measures approximately 13 inches by 14 inches in overall size.